What Are the Largest Discount Brokerage Firms? One of the most revolutionary changes to investing in the last quarter century has been the explosion of discount brokerages, which allow individuals to buy and sell stocks inexpensively and without the need for a human stockbroker. It’s now very easy for an individual investor to purchase shares of nearly any type of security through the Internet. This change has made investing more accessible to the average person and has been very beneficial to the stock market and the economy at large. Investors have many options when it comes to discount brokerages, and in truth, there are very few substantial differences between most firms. All offer access to a wide range of investments with relatively low trading costs, and all have easy-to-use online platforms. Most offer the ability to open taxable brokerage accounts and individual retirement accounts, and most will also administer 401(k) plans. This competition has been beneficial to investors, who have seen a decline in commissions and lower costs as brokers have looked to gain an edge. It's worth noting that many companies not only serve as discount brokers, but create and manage mutual funds and other investments of their own. You may find that certain brokerage firms offer prices, services or products that are slightly more attractive than others, depending on your investment needs and other preferences. Here’s a look at the most popular discount brokers. In many ways, E-Trade is synonymous with online trading and its emergence on the scene in the 1990s was disruptive to the traditional broker-investor relationship. E-Trade charges $6.95 per trade of stocks or options, and $4.95 if you make 30 or more trades in a month. For a minimum investment of $5,000 and a flat annual fee of 0.30 percent, investors can access E-Trade’s Core Portfolios service to have their accounts professionally managed. Often credited with establishing the first discount brokerage back in the mid-1970s, Charles Schwab now has nearly 11 million active client accounts. It offers $4.95 online equity trades and offers more than 3,000 mutual funds with no loads or transactions fees. It also offers more than 200 ETFs with no commissions. 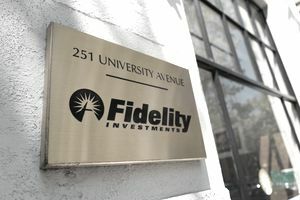 In addition to serving as an online broker, Fidelity also manages and markets its own investment products, including mutual funds. It is also the administrator of many 401(k) plans, and offer advisory services, including robo-advising. Investors can buy or sell most securities on Fidelity for $4.95. However, Fidelity offers iShares ETF products without a commission and recently announced that it now offers four index funds with zero expense ratios and no fees. This company went public in 1997 as just Ameritrade and then acquired the TD Waterhouse brokerage in 2006. It’s now one of the most popular online brokers, with more than 11 million accounts. TD Ameritrade offers $6.95 trades and offers more than 300 ETFs available with no commission. The company has robust web and mobile platforms, but also offers thinkorswim, a high-end trading platform designed for frequent investors. In 2017, TD Ameritrade acquired Scottrade, another popular discount broker. Perhaps no company has championed the idea of low-cost investing more than Vanguard. Those with Vanguard accounts will pay no commissions to trade Vanguards own mutual funds or ETFs. More than 1,800 other ETFs from other companies are also commission-free. Individual stocks trade for $7 with Vanguard, though that fee gets lower the more you have invested. With Vanguard, investors can have traditional and Roth IRA accounts, taxable brokerage accounts, annuities, 529 college savings plans, and Vanguard is also a popular 401(k) plan administrator. Ally Invest is one of the newer discount brokerages and offers a clean online platform for self-directed investors. It also offers professionally managed accounts for a 0.30% advisory fee. Equity trades are just $4.95 and go down to $3.95 if you have a balance of $100,000 or more. Bond trades are $1. This is not meant to be an exhaustive list of discount brokers, but it highlights the most popular. Other brokers are coming onto the scene regularly, offering super-low or even non-existent fees and other features. Robinhood, for example, is an app designed for beginning investors with zero-commission trades. Firstrade allows investors to purchase stocks, ETFs, mutual funds, and options with no fees. Meanwhile, established banks have started offering discount brokerage services. These include Capital One Investing, Bank of America’s Merrill Edge, and YouInvest from JPMorgan Chase. Brokerage Accounts vs Mutual Funds: Which Is Best for You? Should You Invest in No-Load Funds or A Share Funds? Should You Invest Your Emergency Fund? Which Stocks and Companies Profit From Legalized Sports Betting?